After a very successful outing on the road last weekend (two wins, one tie), the Grand Valley State club hockey team (Division II) was welcomed back at home to a packed Georgetown Ice Arena against Michigan State Friday, Jan. 28. 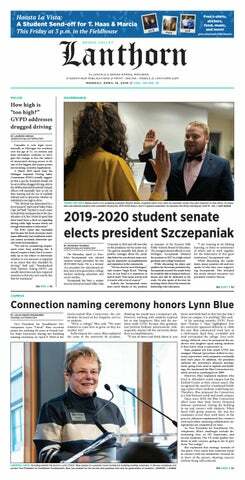 Every year, new clubs spring up from the minds of students looking to fill a niche role in the Grand Valley State community. Students can find clubs for almost anything, but not all of those clubs have the potential to become something greater. The women’s basketball club had that potential and ran with it. The Grand Valley State men’s club hockey team (Division III) split a home and away weekend series against Hope College Friday, Jan. 20 and Saturday, Jan. 21. The Lakers travelled to Hope College Friday night for the first game between the two teams, but fell 3-2. The Lakers returned home to the Georgetown Ice Center Saturday, rebounding with a 6-1 victory. Head coach of Grand Valley State’s club hockey team (Division II) Mike Forbes believes there is three stages of a team coming together: storming (finding the team’s identity), norming (buying into the system), and performing (playing to its true potential). Forbes can be proud to say his team has entered the performing stage after a successful three-game road series where the Lakers’ came out with two wins and a tie against three of the top teams in the southeast region. Grand Valley State students with an interest in martial arts are in luck. The coed GVSU boxing club is in its first competitive year in club history, and is making a push for new members. The Grand Valley State men’s club wrestling team began the second semester with a convincing win at the GVSU Fieldhouse over the Toledo Rockets Sunday, Jan. 15. The Lakers captured an early lead but the Rockets would not go back to Ohio without a fight. The Rockets pulled within 10 points of the Lakers with just a few bouts remaining. Just about every Grand Valley State student knows about the Laker football team. One would be hard-pressed to find a GVSU scholar who had no knowledge of the men’s and women’s basketball teams. But how many Lakers know about their school’s very own shooting club?